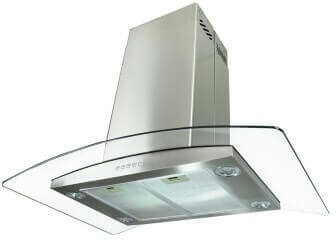 This Eureka 30-Inch European-Style Stainless Steel Island Mount Range Vent Hood is made with classic European style. This vent hood has a number of desirable features including an attractive brushed stainless steel finish that will make it the focal point of your kitchen. 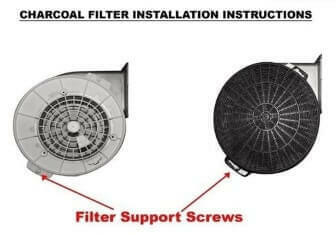 This vent hood also features anodized aluminum filters that are dishwasher-safe and non-return air flaps to keep heat from escaping when it is not in use. The brushed stainless steel finish is accented by tempered glass wings and four 20-watt lights provide for an extra light source in the kitchen. A three-speed push button control panel makes operation fast and easy and it has an air flow of 900 CFM. It is made with dimensions of 36 x 24 inches and will fit most kitchen islands. The dual chamber fan is designed to run quietly and efficiently. The price of this unit is almost ½ of similar models on the market today, so it is priced to offer considerable value. While this unit does come with an installation guide, you’ll need a handyman or a spouse to install it and it could take them as long as a few hours. Some buyers reported having to drill extra holes in it to install it properly. 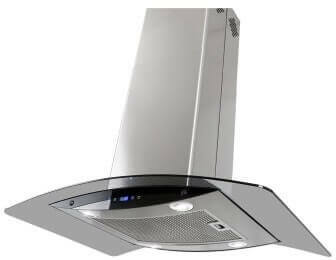 The Eureka 30-Inch European-Style Stainless Steel Island Mount Range Vent Hood represents good value for the money and most reviews of the product from actual users are highly positive. It will greatly enhance the look of a kitchen island and it is as functional as it is good looking.